The Ryan Center is another similar college facility at the University of Rhode Island that is lit with Ephesus. The Mullins Center at UMASS Amherst makes the switch to LED Lights from Ephesus Lighting, sports technology news that is making the world a better place. The University of Massachusetts Amherst, along with Global Spectrum, one of the nation’s leading public assembly facility management companies, announced a series of upgrades to the William D. Mullins Center including the installation of a new LED lighting system from Ephesus Lighting. The announcement of the new lighting solution was made by Brian Caputo, assistant general manager/director of operations of the Mullins Center and Mike Lorenz, President of Ephesus Lighting, Inc. making it sports tech history in the making. The new lighting systems is expected to reduce energy consumption by 70% and dramatically improve lighting quality. Ephesus Lighting will replace the existing HID (high intensity discharge) lighting with its revolutionary new LED sports lighting. It is projected to cut the venue’s energy costs by up to 70 percent for while improving lighting quality immensely. Fans in the Mullins Center or watching Mullins Center events on HDTV will have a brighter, sharper view of the performance. The more sophisticated technology will also increase the opportunities for the Mullins Center to host other events. Other renovations of the 10,000-seat multi-purpose entertainment and sports venue that will enhance the fan experience include new upholstery for 3,594 seats and cup holders for 7,705 seats. The new system provides an impressive 152 FC’s (foot-candles) of lighting for hockey and 148 FC’s for basketball. The light uniformity ratio was previously not within recommended limits for NCAA basketball broadcasts but is with the Ephesus lights, providing a maximum to minimum ratio of 1.24:1 when lit for basketball. 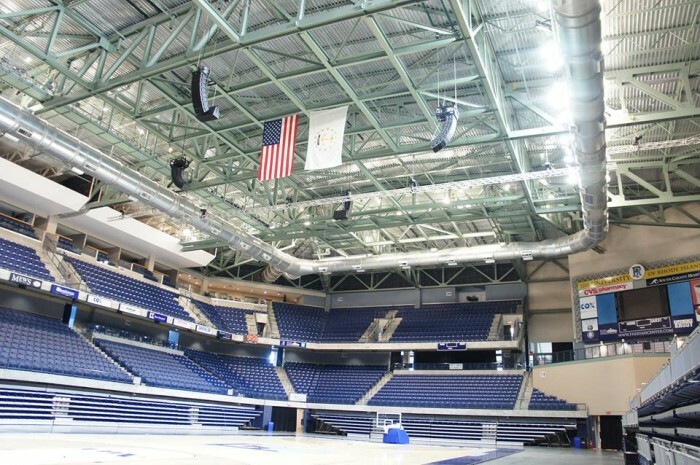 As an added bonus the Mullins Center can expect 10-years of maintenance free lighting as light bulb changes are a thing of the past and LED lights maintain their quality by up to 90% over 10-years. Ephesus manufactures the brightest LED on the market and is the only arena designed lighting solution that is certified under Design Light Consortium’s (DLC) quality, performance and energy efficiency requirements. The DLC certification enables facilities to receive energy incentives from utility providers. Since lighting the first sport arena with LED in North America in 2012 Ephesus Lighting has created LED lighting solutions for more than 20 sports and entertainment venues all across North America including: the War Memorial Arena in Syracuse, NY; the Broome County Veterans Memorial Arena & The Forum Theater in Binghamton, NY; the Webster Bank Arena in Bridgeport, CT; the BMO Harris Bank Center in Rockford, IL; the Ricoh Coliseum, in Toronto; The Ryan Center at the University of Rhode Island; and more. The new Mullins Center system provides an impressive 152 FC’s (foot-candles) of lighting for hockey and 148 FC’s for basketball. Sports Techie, Installation is scheduled for later this month. The Ryan Center (photo above) is another similar college facility at the University of Rhode Island that is lit with Ephesus. I noticed while in Atlanta earlier this week that the new Braves and Falcons stadiums are designed with sustainability in mind. 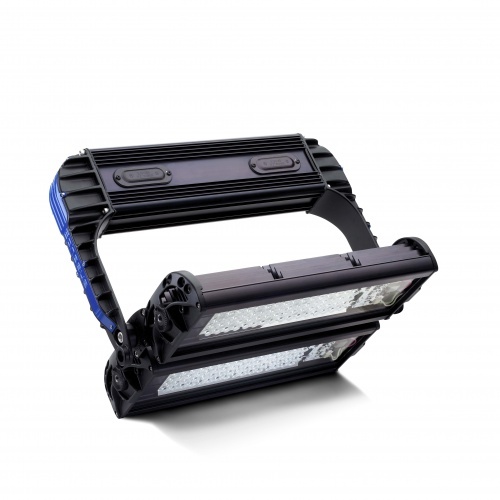 All new and existing venues who are doing their research due diligence should keep Ephesus top of mind when considering lighting sources that are environmentally friendly. Sustainable sports tech lighting is good for fans, teams and venues, as well as sponsors, broadcasting and our planet. Make it so like the UMASS Amherst Mullins Center did by switching to LED lights.